Corks destined for recycling at the Darien Nature Center on Dec. 18. DARIEN — Many bottles are sure to be opened throughout the holiday season and every popped cork is a chance to recycle and raise funds for the care of the animals that reside at the Darien Nature Center. 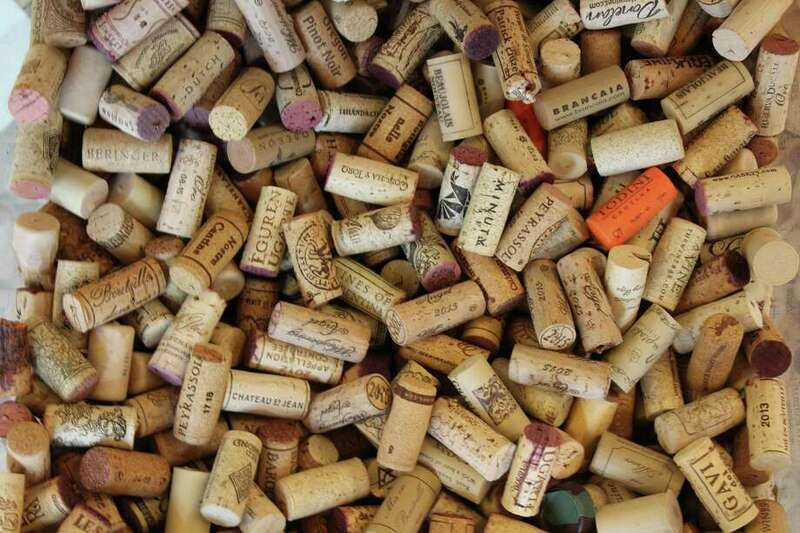 “Our goal is to collect 100,000 corks and we’ll probably collect more as we make this a year-round fundraising effort, Leila Wetmore, executive director of the Darien Nature Center, said. According to Darien Nature Center Administrative Director Tory Crane, the center receives an estimated half a cent per cork. The corks collected are sent to the Yemm & Hart Green Materials company, located in Marquand, Missouri, where they are recycled. In return, Yemm & Hart sends a check to the Nature Center which helps fund animal care efforts. The company pays for the corks collected by various organizations throughout the country, said Deborah Yemm-Hart, an owner of Yemm & Hart. Though the project was started earlier in the year, the season festivities have provided a strong reason to promote the fundraiser with a guarantee of garnering attention from local residents. Hart-Yemm recognized the sentimental attachment some individuals may feel towards their collection of corks. “Corks might bring back memories and I think people have a sense it was once something living and that has a certain appeal,” Yemm-Hart said. When it comes to recycling corks, Yemm-Hart pointed out that crafting and post-industrial floor tiles are the results. “The corks will often be used for craft projects but there is also an effort to make floor tiles though the vast majority of work is dedicated towards the former,” Yemm-Hart said. Local business owner Tim Smith from the Wine Port of Darien donated hundreds of cork earlier this month. He keeps a bowl to collect corks at his shop which he will donate to the Nature Center throughout the year. “Anything we can do to help, we’re glad to participate. It’s a community effort and we like to help out the Nature Center and the town,” Smith said on Tuesday morning. The corks are sent in boxes with prepaid shipping labels provided by Yemm & Hart. “Some people come in with six corks from a party and others come in with a 20-year collection that they realize they will never do anything with or are moving and clearing out. It is a great conversion piece,” Crane added.